Florida State’s 3-game sweep of Clemson won the Seminoles some favor with voters — at least in one poll. After a short hiatus, FSU returned to the Collegiate Baseball Poll this week at No. 26. 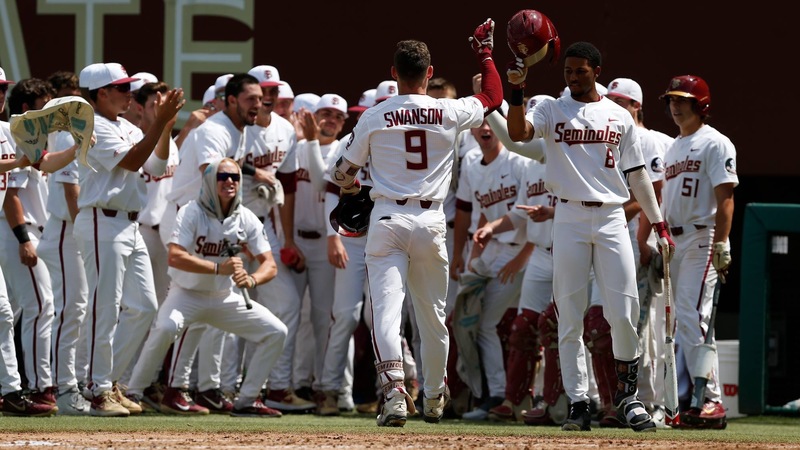 FSU remained unranked in both the Baseball America and D1Baseball.com Polls. FSU was also unranked in the NCBWA Poll. The Seminoles went 3-1 this past week. After losing to Florida on Tuesday, 3-1, FSU bounced back to complete the 3-game sweep of Clemson over the weekend. For the season, FSU is 22-13 and now 10-8 in ACC play. Florida State heads to Charlottesville to face Virginia for three games, beginning on Thursday.